We de-burr all of our machined parts as a standard part of the process. We usually do this after we complete the punching or fabrication process because there are sometimes small burrs left behind. This is just yet another of the many quality control measures that we have in place to ensure client satisfaction. We have many different de-burring techniques that we use in our fabrication department to provide a high quality finished result. 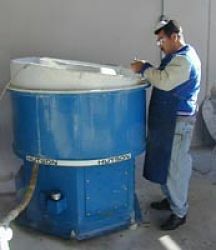 Vibratory de-burring is just one of these techniques. When we do higher volume jobs, we will usually use a big vibrating, fully-automated tumbler encasement, which features a porcelain media inside. The porcelain effectively removes any burrs off the parts as they are vibrated and moved around inside the encasement, without damaging or scratching the materials. 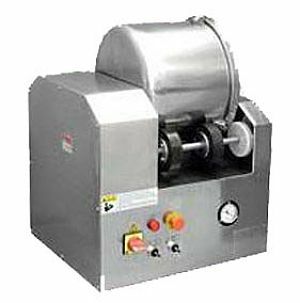 Tumble de-burring is similar to vibratory de-burring in the fact that it is smoothed out using moving media inside an encasement. However, with tumble de-burring, the pieces are tumbled 360 degrees continuously for the appropriate amount of time that’s required to achieve success. Another technique that we use in the fabrication department at Silver City Aluminum is heli-coiling. 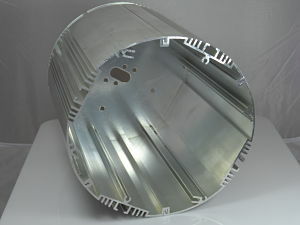 Heli-coil inserts are helically wound coils that have been precision formed. When they are inserted into a heli-coil tapped hole, the insert provides a permanent conventional screw thread, which is stronger, more reliable and because of its snug fit, eliminates the ability of the materials at the thread site to rust, seize, corrode or wear out over time. Some of the airline fabrication applications that we create for our clients need heli-coiling. One example is airline tray table torsion bars. After creating a heli-coil tapped hole, a screw spring is then inserted into the ends of the part. Heli-coiling helps the bar to perform a spring motion, which is similar to the slight spring effect that you would see on the bar that is attached to an airline tray table. When we take on a fabrication project, often our customers ask us to get involved in the assembly process. We are fully capable of assembling a product for which we are making most of the parts for. To find out more about our capabilities, contact our office in Taunton, Massachusetts and speak with one of our highly trained technicians or customer service agents. Silver City Aluminum can create high quality custom fabrications for you in just about any size or shape you require.